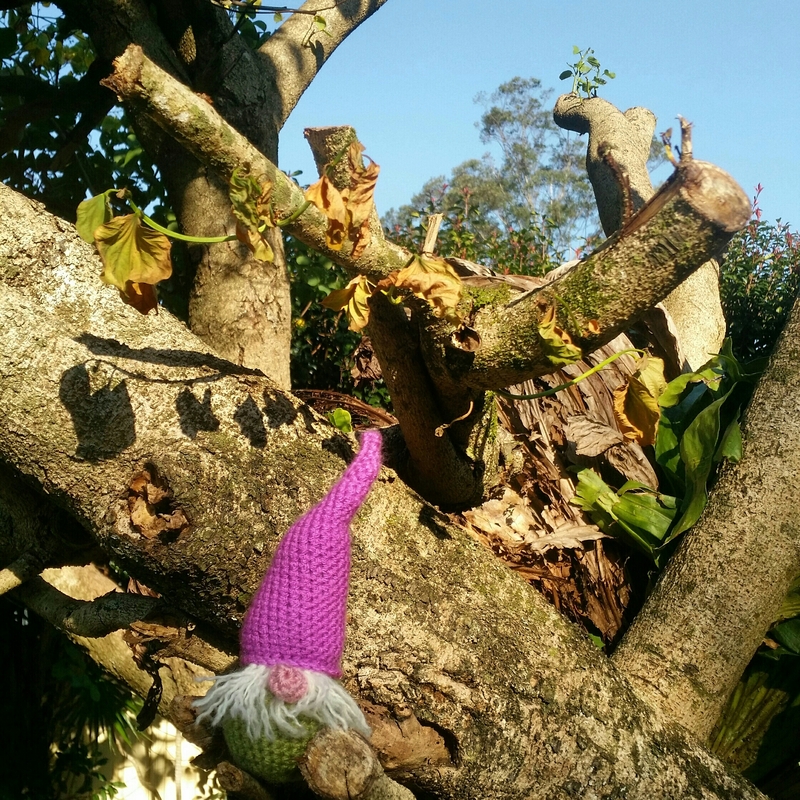 Crochet Gnome – I finished something! For what feels like first time in yonks I have something to share for FO Friday, woot! He is only little but here is my friendly gnome. I am new to amigurumi, and after a whole day working him, truth be told he didn’t even look like a gnome to me by the end! However, the next day I liked him much better – some time apart did us good haha. The pattern is from a cute book called Crochet Your Christmas Baubles, which just arrived last week. Mr Gnome is worked in the (recommended) Stylecaft Special DK. Some of the other patterns recommend DMC Natura Just Cotton, so I’ve ordered (from Love Crochet – 15% off voucher here if you’d like one!) plenty of Christmassy colours for the Santa, elf and reindeer included in the 25 patterns. I’m working on an owl from the same book at the moment. There’s also a cute fairy and a couple of Elsa-type projects (hello fellow mums of Frozen fans!) so the book goes beyond just Christmas, which is added value I reckon. I am managing the patterns fine as a newbie to amigurumi and there are some helpful little notes at the back, too. The patterns are sorted into themes: Santa’s Grotto, Frozen Winter Wonderland, Fairy Tale, Scandinavian Style and White Christmas – definitely something to suit all tastes! If you’re not loving a project, do you quit or do you see it through? 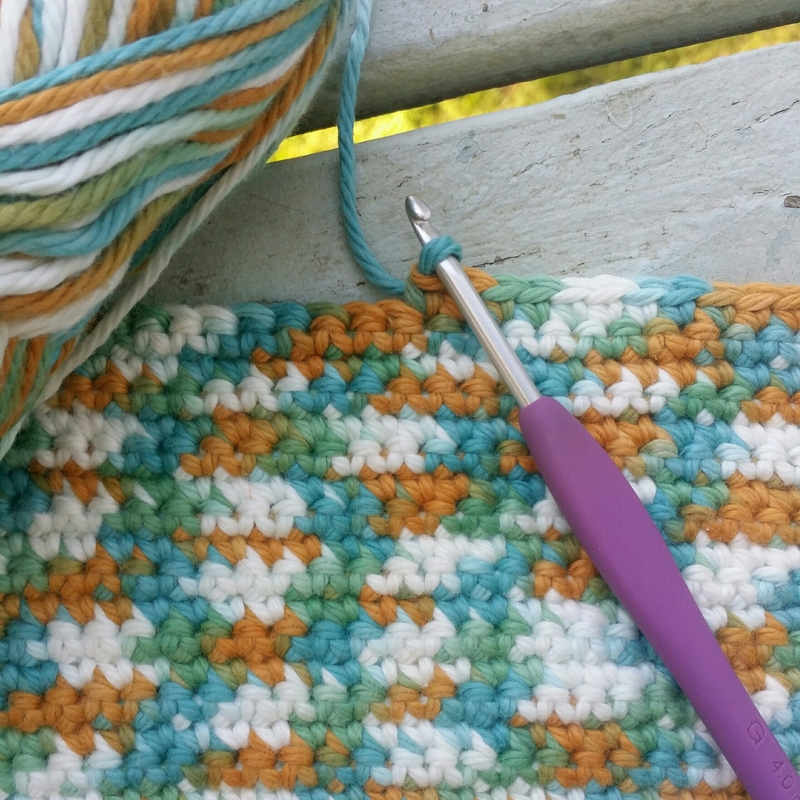 Freeform Crochet – the Adventure Continues! Wip Wednesday – a List as Long as Yer Arm! I love it! It’s a gnomie from another homie. If I’m not loving it I usually stop. I may come back to it later, or it may just languish! Yes I have a few wips languishing lol that is a good word for it! Oh thanks – the moustache was a bit of a pain haha but interesting learning how to do it. You basically just take strands of dk and hook them though like you would to make tassles. Then you unwind the plys and separate them, then brush with a hairbrush and trim. I do like the effect! I love him! Sometimes time apart is the best thing, that’s usually what I do when I get sick of a project. I just finished something that was started last year! The gnome is so cute! I like the way your yarn is pooling. I started making a mermaid tail for my granddaughter for Christmas. Once that is done my plans are two snuggle sacks for the grandsons. I started early this year, because last year I was up late the night before I had to mail stuff out finishing hats. Less stress this year, hopefully! If I don’t love it, I usually quit it and rescue the yarn. If I think I can turn it into something else I might like, then I’ll do that. Have the happy hooking vibe sent straight to your inbox! Never miss a happy hooking post! Join 3,200+ other followers on Instagram! Best of Hooks and Hills on the blog!